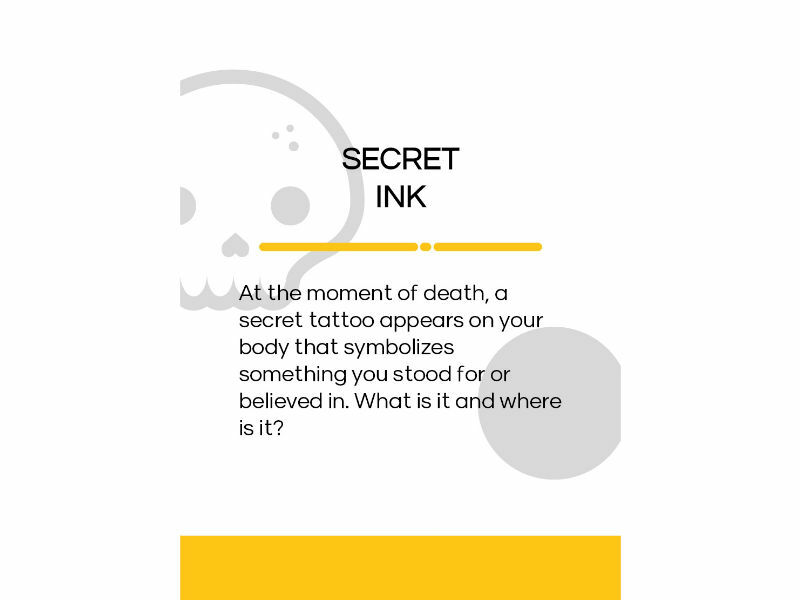 At the moment of death, a secret tattoo appears on your body symbolising something you stood for and believed in. 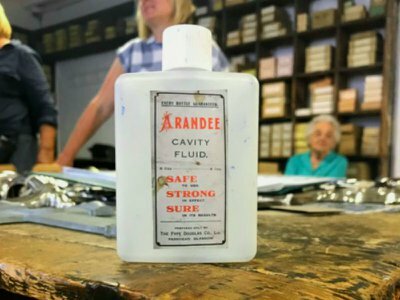 What is it – and where is it? 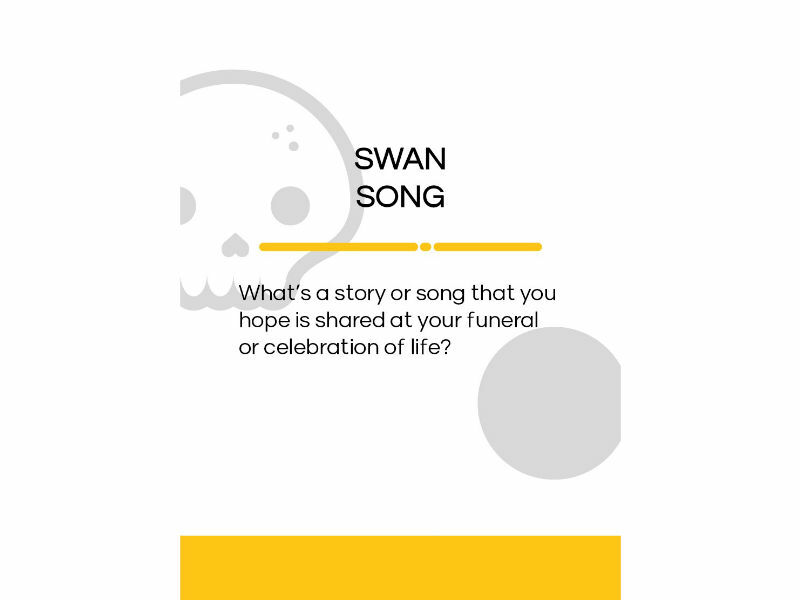 It’s a killer question you could pick at random from a hundred or more other matters of life and death in The Death Deck – a lively party game with a focus on lightening up conversations around death. 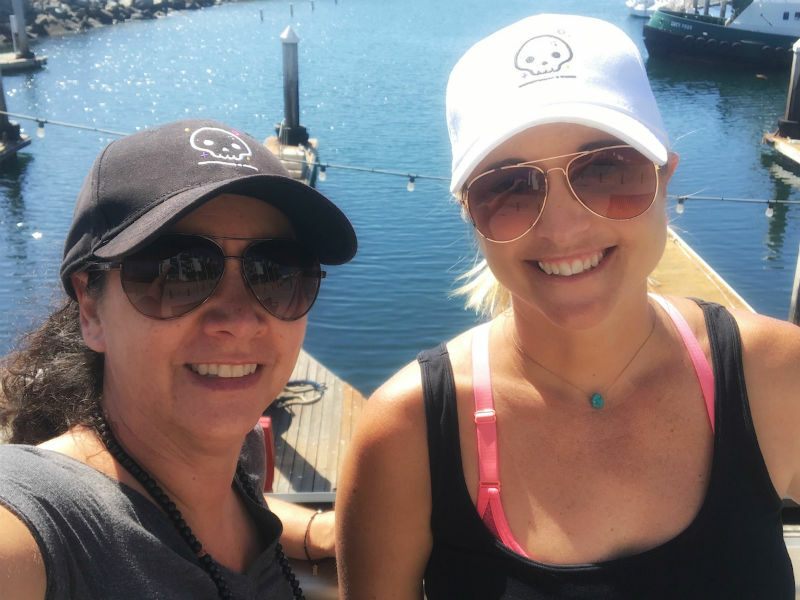 In an era where parlour games – think Cards Against Humanity – are being reinvented for an irreverent adult generation, California entrepreneurs Lori LoCicero and Lisa Pahl’s left field Death Deck is getting people talking. “We thought why not use a little humour to get people to open up a little more and break the taboo of talking about those things without a heaviness to them?” says Lori. With rules of play where teams compete to score points, Death Deck really does aim to provoke laughter – as well as reveal some surprising truths. It’s about head-on confronting the ultimate taboo – and get people who really don’t want to think about it, thinking. 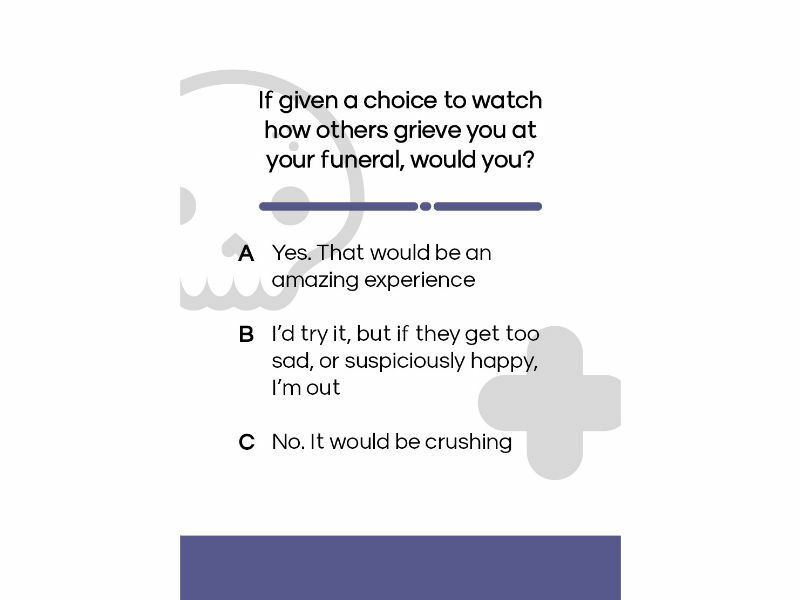 Although there are already quiz games around aimed at prompting conversations about end of life, Death Deck aims to bring a little more life and soul to the party. “There are are games that are similar, but they are very serious in tone. We found that people don’t want that kind of conversation,” says Lori. Road-tests have included games nights in bars: “We’ve heard some incredible stories – and people are more open to talking about these things when they’ve had a drink,” laughs Lori. The pair came up with the idea of creating the game two years ago, inspired by their own experiences. Lori, who’s a writer, producer and author and Lisa, a hospice social worker and ER crisis interventionist who supports bereaved families, met 10 years ago when Lori’s husband Joe was in the final stages of pancreatic cancer. “Lisa came in and just really got me through this dark time,” says Lori. Lori and Joe hadn’t talked about death when he was first diagnosed – “that would have meant giving up a little hope” – so it wasn’t until two months before he died that she broached the subject. “When it got to that moment, it was excruciating – very chaotic, panicked and emotional,” she says. In fact, the game’s aimed at people in the prime of life, or at new life-stages such as first-time parenthood, when thoughts of will-writing, or one’s own parents’ future health might first come to mind. 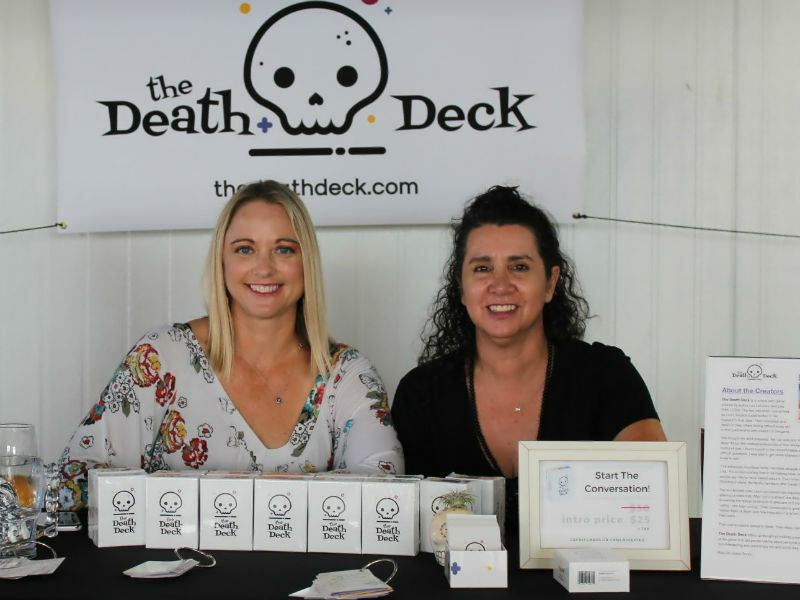 Perhaps unsurprisingly, the Death Deck’s been met with enthusiasm by professionals including death doulas, funeral directors and estate planners, but the pair hope The Death Deck will inspire people from every walk of life to feel less afraid and more conversant with mortality. One of the outcomes of Lori’s incredibly difficult conversation with Joe, who was in his early forties when he died, was to know that he did not want to spend his final time in hospital. He had hospice care at home for the last two weeks and two days of his life, supported by Lisa in her professional role. Joe had also told Lori he wanted to be cremated, with a celebration of his life – and his ashes taken to Hawaii, a place with special meaning for the couple. “After losing my husband to cancer and feeling incredibly unprepared, I realized how crucial it is to have these discussions early,” says Lori. Yet simply playing the game makes everyone a winner, Lisa and Lori say. 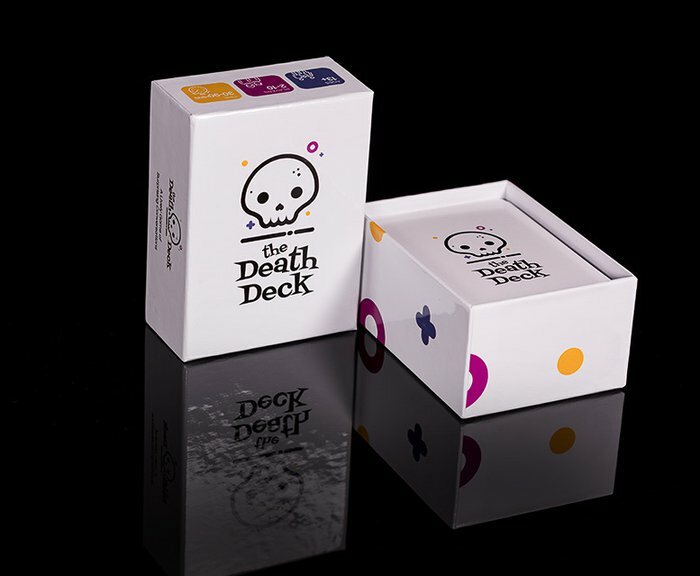 The Death Deck is available on Amazon.com and can be shipped internationally.